They might be at the bottom of the food chain, but krill could prove to be a secret weapon in the fight against the growing threat of plastic pollution in the world's oceans. New research Friday showed the tiny zooplankton are capable of digesting microplastics—under five millimetres (0.2 inches)—before excreting them back into the environment in an even smaller form. Study author Amanda Dawson stumbled on the finding while working on a project involving microbeads—polyethylene plastic often used in cosmetics such as face scrubs—at the Australian Antarctic Division's krill aquarium to check the toxic effects of pollution. "We realised that krill actually break up plastic, it was amazing," the researcher from Australia's Griffith University told AFP. "It's difficult to know exactly what the implications of this could be, but the theory is that because plastics in the ocean are already degraded and more fragile, they would be even easier for krill to break up." The problem of plastic pollution is widespread, and rapidly getting worse. Every year, more than eight million tons ends up in the ocean, costing billions of dollars in damage to marine ecosystems and killing an estimated one million sea birds, 100,000 sea mammals and untold numbers of fish, studies have shown. 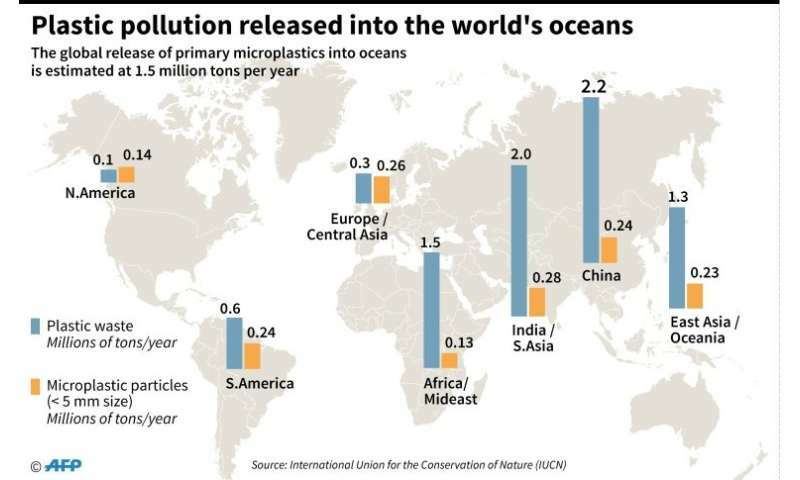 UN Secretary General Antonio Guterres last year cited one study that showed plastic could outweigh fish in 2050 if nothing was done. 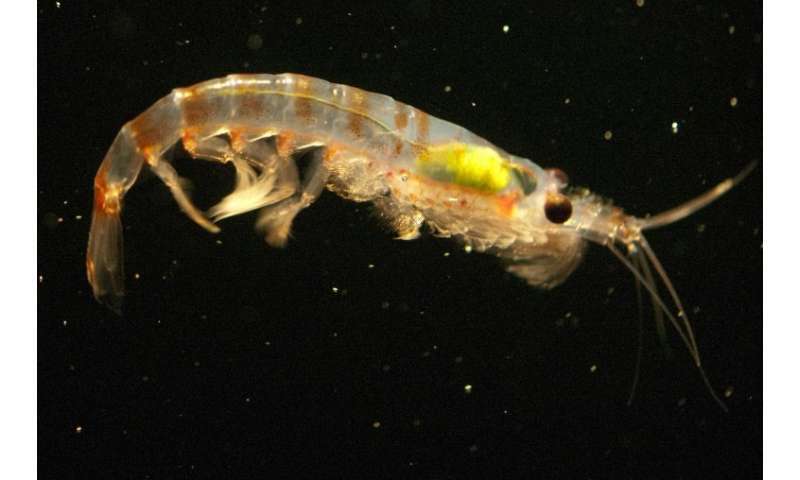 Australian Antarctic Division krill biologist and study co-author So Kawaguchi said this was the first time scientists had examined microplastics digested by the crustaceans. Published in Nature Communications, it found the fragments excreted were, on average, 78 percent smaller than the original beads with some reduced by 94 percent. "It's a new pathway for microplastics to interact with the ecosystem", Kawaguchi said. He added that the research suggested other zooplankton with similar digestive systems may also be able to break down microplastics. But Dawson cautioned the finding could also be a double-edged sword, citing the potential for toxins to be passed down the food chain as the smaller excreted particles became available to organisms that would not be able to ingest larger ones. "We've barely scratched the surface and more work is needed," she said. Krill are zooplankton invertebrates that float in huge swarms in oceans all over the world. Barely the size of a paper-clip, they can live for 10 years and are one of the most abundant animal species.